The first thoughts that crossed my mind while reading You Don’t Know Me by Susan May Warren were, “I would like to live in Deep Haven, Minnesota.” The description of the mythical town of Deep Haven is better than the narrative from a tourist brochure. Warren paints a town that is so appealing and breathtaking it is impossible not to consider a small town relocation. There are many things to like about this novel. This is a suspenseful book that builds gradually to the climax giving the sense that this may not end well. Warren pens a story that is exciting; but she also draws a full cast of characters that are complicated and multi-dimensional. This is the story about Annalise Decker, wife, mother, daughter-in-law and friend extraordinaire. She does everything well. No one in Deep Haven, including her husband, would ever guess that she is really Diedre O’Reilly, relocated through the Witness Security Program – a woman who testified against a murderer who promised that he would kill her. One of the predominant themes in You Don’t Know Me is redemption and second chances. This is shown beautifully in the protagonist’s life but also through the entire cast of characters. It is a story of the danger in keeping secrets and the devastation of a judgmental attitude. But most of all, it is a story of God’s overwhelming and amazing grace. I loved this book. It was a book that was moving on so many levels, a book I would pick up every chance I could find, letting tasks like laundry take a secondary position. There were many wonderful things to take away from this story. I am happy to recommend this book. Buy the book for $9.18. RSVP for Facebook Author Chat Party on Oct. 23rd! 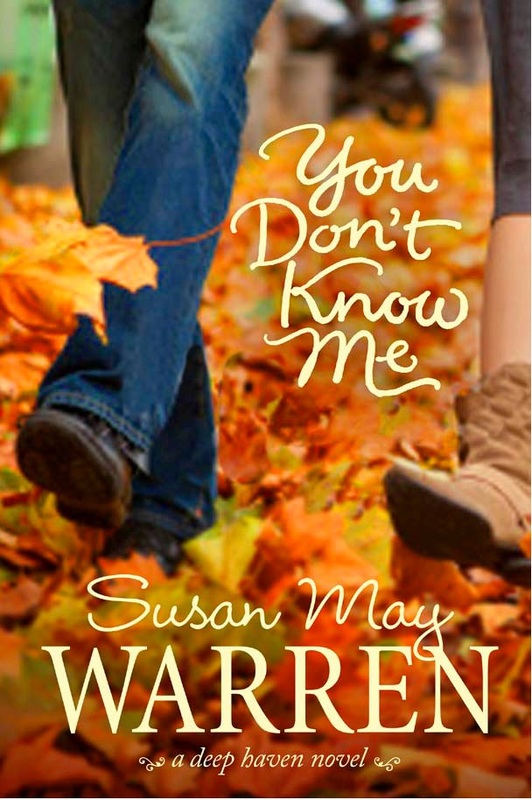 Welcome to the campaign launch for Susan May Warren’s latest offering in her beloved Deep Haven series, You Don’t Know Me. Susan is celebrating with a $200 Weekend Getaway Giveaway and hosting a fun video Author Chat Party!